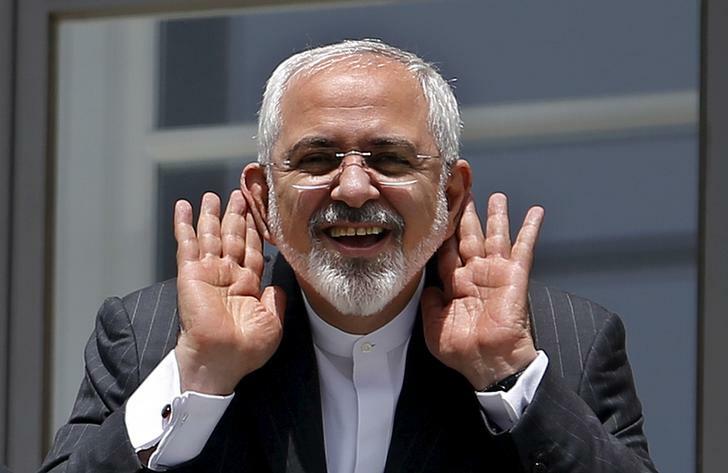 Javad Zarif, the Iranian regime foreign minister, has drawn criticism from Iranians over comments he made about Iranian meddling in foreign conflicts across the Middle East. The comments prompted a backlash on social media. Voria Ghafouri, a soccer player at Esteghlal, in the Persian Gulf Pro League, responded with an Instagram post in which he criticized the regime’s foreign minister, “you are not the one who’s under pressure. The people are under pressure. The nation’s wealth is not your inheritance to give out as you please.” said Ghafouri’s post at Instagram. He added, “if you’re man enough, speak your rubbish among the people so you get your answer!” The Iranian regime has been under intense domestic pressure in the form of national protests among Iranians. The protestors are expressing their fury over the mullahs’ economic mismanagement and financing of foreign militia and terror groups which has left the Iranian economy in turmoil. The Iranian people have made their feeling clear. At recent protests, Iranians chanted “leave Syria alone, think of us”, etc. The foreign minister is renowned for making inflammatory, controversial, and false statements. He recently compared Iranian democracy to that of France’s, asserted the regime did not want war and claimed that there were no political prisoners in regime custody, claims that if they weren’t so damaging would be laughable.
.@JZarif Poland condemns terrorism in all its forms. The reaction to the attack on Khash-Zahedan road in Iran cannot be different. “No” to violence. In other posts, Zarif attempts to pass Iranian involvement in Syria off as aiding the peace process. 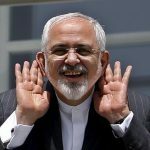 “As Iran, Russia & Turkey ready a summit in Sochi to work for peace in Syria & UN Court rejects US excuses & readies to rule on US theft of Iranian people’s assets, flip-flopping Trump officials try to hide their perpetual lawlessness & global isolation behind a charade in Warsaw,” he Tweeted. 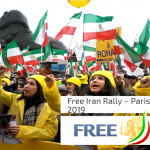 On Thursday, February 8th, the Iranian opposition, supporters of the MEK, held a rally in Paris to express solidarity for the protest movement taking place in Iran and to urge international policymakers to show their support for the Iranian opposition within Iran by adopting a firm policy toward the Iranian regime. 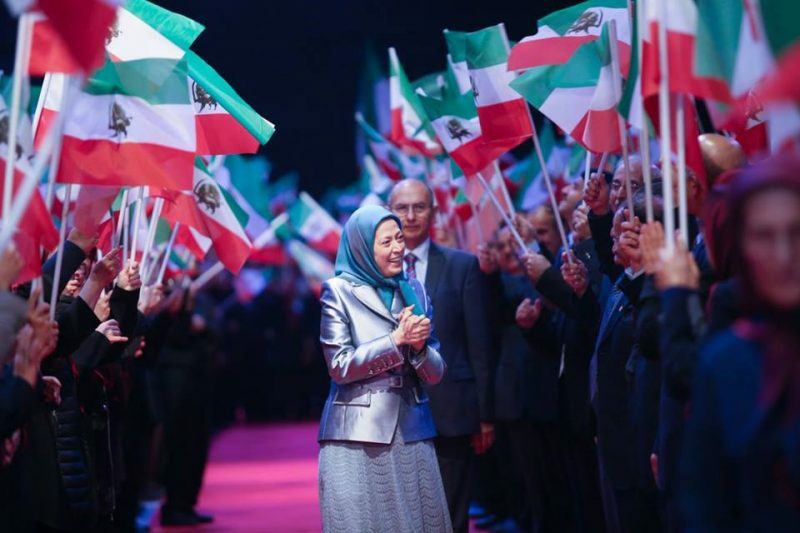 Mrs. Maryam Rajavi, President-elect of the National Council of Resistance of Iran (NCRI), addressed the rally’s attendees and participants, who included MEK members and other Iranian expatriates, international politicians, and human rights activists. Mrs. Rajavi went on to speak about the regime’s response to the ongoing protests that have been taking place in Iran since last year. She cited reports from Amnesty International, which state that 7,000 protesters were arrested last year, noting that the actual number is even higher. She described how the regime killed some of these protesters after their arrests and claimed they had died of suicide. She further discussed the regime’s torture of detainees and its crackdown on ethnic and religious minorities, on workers, students, women, young people, and anyone who dared to defy the regime. According to Rajavi, Western governments must pay heed to this responsibility because of their history of preserving the mullahs’ rule for the past twenty years. 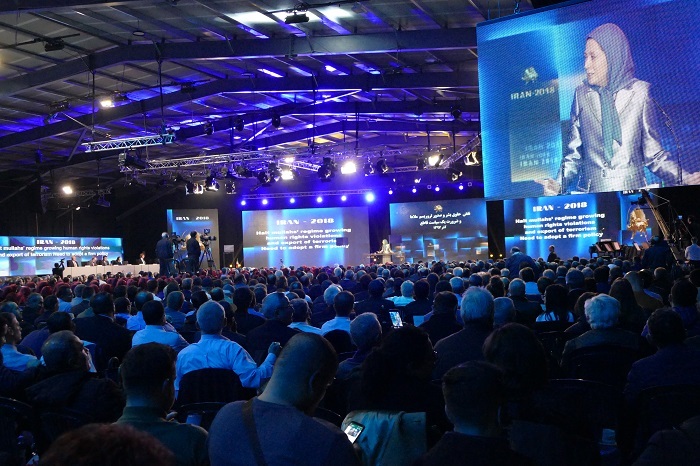 The Western policy of appeasement toward the mullahs allowed the regime to flourish by “cracking down on the Iranian Resistance, blacklisting it, and restricting it.” Mrs. Rajavi said that the end of the regime’s threat would only come through the recognition of the Iranian people’s right to achieve freedom. François Mitterrand’s son, one of the main speakers at MEK’s February 8, rally in Paris, posing for a photocall. Mrs. Rajavi stressed the need for the United States and European Union to blacklist the Ministry of Intelligence and Security (MOIS) and the Islamic Revolutionary Guard Corps (IRGC). As a plague of poverty sweeps across Iran, all but wiping out the middle class in its wake, the Iranian regime continues to try and blame the international community for Iran’s economic woes. Years of economic mismanagement and corruption have hollowed out Iranian industries, caused rampant unemployment, and prompted rocketing inflation. Rather than cause Iran’s economic decline, the international community is finally holding the Iranian regime to account. In early January, the EU introduced its first sanctions against the Iranian regime since the landmark JCPOA agreement. The new sanctions targeted a branch of the Iranian Ministry of Intelligence (MOIS) as well as two senior officials. 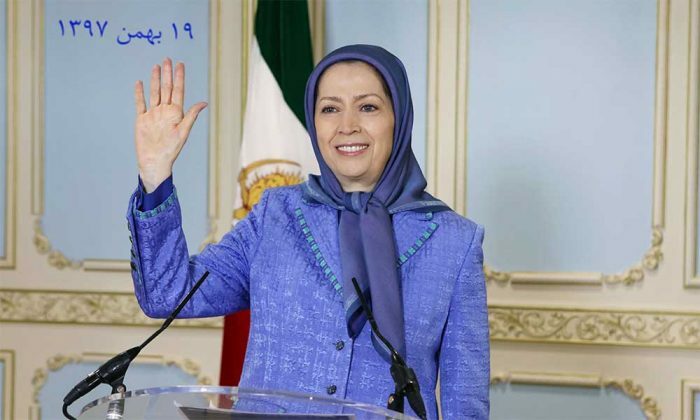 Despite the new sanctions, many in the Iranian opposition, including the People’s Mujahedin Organisation of Iran (MEK), believe that without a full terrorist blacklisting of the MOIS and the Islamic Revolutionary Guard Corps (IRGC), the effect of any sanctions will be severely limited. Although the sanctions are limited in scope, they do represent a changing tide in the mindset of European governments. For decades, the EU’s heads of state have stuck firmly to a policy of appeasement. But now, after a string of Iranian state-sponsored terror attacks plotted on European soil, France and Britain are leading the charge for a firmer stance against Iran. Amongst the possible actions up for discussion are economic sanctions, asset freezes, and travel bans for senior figures in the Iranian regime. 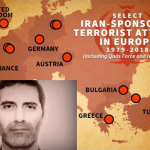 In 2018, the Iranian regime plotted several terror attacks and assassinations against members of the MEK and other dissident groups living on European soil. Plots were unraveled in Albania, France, Denmark, and the US. The United States has organized a conference in Poland on the 13th and 14th of February in which the international community will discuss the Iranian threat. The foreign ministries from 90 countries across the globe will attend. International cooperation and support for a firmer stance against the regime are essential for curbing their nuclear ambitions and ending their campaign of terror on European soil. 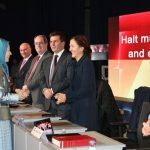 The MEK and the National Council of Resistance of Iran (NCRI) have worked relentlessly to draw attention to the human rights abuses taking place across Iran. 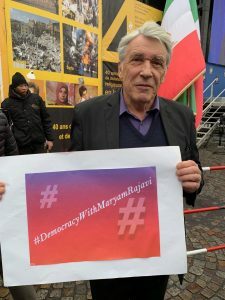 Ahead of the conference in Warsaw, the Iranian opposition will hold a major demonstration against the Iranian regime’s widespread abuse of human rights and employment of terrorism as a technique of repression. Rajavi is convinced. 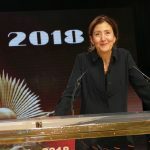 She has spoken on the international stage and asserted that the only way to free the Iranian people from the violent and repressive clerical regime is through regime change. Following four failed terror attacks in Europe, any measure short of listing the MOIS and IRGC as terrorist organizations will fall well short of what is needed to eliminate the Iranian threat and bring stability to the Middle East and beyond. Alarabiya published an opinion piece outlining the increasing international concern over Iran’s state-sponsored terrorist activities. 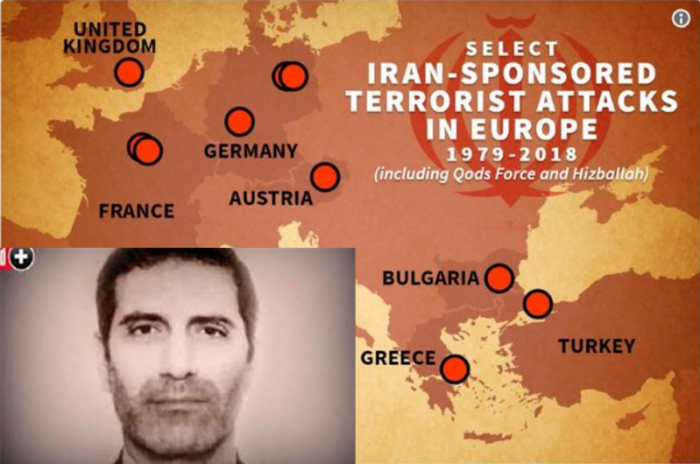 2018 has seen a surge in Iranian terrorism across the world as European authorities have foiled several terror plots and which were traced back to the Iranian regime leadership. “If ISIS targeted people arbitrarily without any operation center in the EU, Iran’s regime uses its embassies to organize terrorist operations across Europe”, the piece said. The most recent development was the expulsion of the Iranian ambassador to Albania and another high-level diplomat. Albania’s government cited increasing security threats as the reason for the expulsion. In March, during the Persian New Year celebrations, two Iranian agents working for the Ministry of Intelligence (MOIS) were arrested for plotting a terror attack on Albanian soil. The attack’s target was members of the People’s Mujahedin Organisation of Iran (MEK) currently living in exile in a compound near the Albanian capital of Tirana. Prior to the MEK’s arrival on Albanian soil, the country was on the regime’s periphery. It had a small embassy in Tirana through which it managed diplomatic operations. However, since the MEK arrived in 2016 after fleeing regime attacks on its compounds in Iraq, the regime has expanded the Albanian embassy’s operations, “almost doubling the size and the number of staff”, according to Alarabiya. 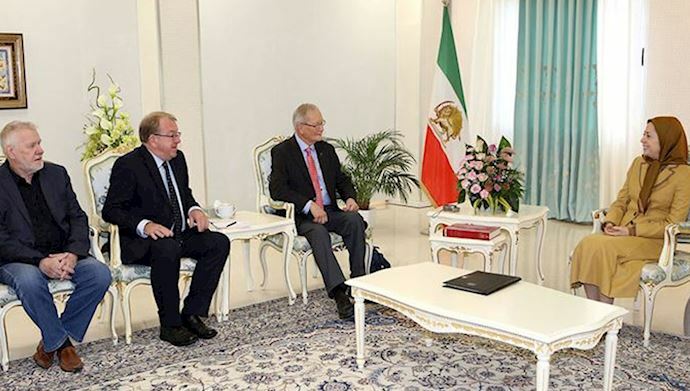 In addition to expanding the building and hiring more staff, the regime sent an MOIS agent to the country as its ambassador and created a special section of the embassy devoted to planning attacks against the MEK and the Iranian opposition. The regime’s activities in Albania have been a microcosm of a growing surge in terror activities in Europe. 2018 saw the foiled terror plot in Albania, a foiled terror attack in Paris in June, an assassination attempt against a political dissident in Denmark, and the arrest of two MOIS agents in the United States on espionage charges. 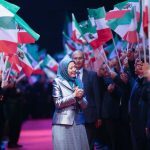 Alongside their violent terror attacks, the regime has coordinated an extensive misinformation campaign against the MEK. Recent hit pieces against the MEK have appeared in the Guardian, Al Jazeera, MSNBC, and Channel 4. The response has been somewhat muted. Following the attempted attack on the MEK’s Grand Gathering in June, the French government expelled diplomats and froze MOIS assets. However, few countries have followed suit, making Albania’s decision a landmark moment. Many observers attribute this surge in state-sponsored violence against political dissidents to a decades-long policy of appeasement towards the Iranian regime from Western governments. “In their view, the current EU foreign policy chief Federica Mogherini and her colleagues are responsible for this emerging threat to [the] EU’s security”, the Alarabiya piece states. The Alarabiya piece asserts that the US government could force Europe’s governments to adopt a tougher stance by designating Iran’s Revolutionary Guards and the MOIS as terrorist organizations. “This is what the Iranian people, dissidents and dozens of prominent Western politicians ask and call for”, the piece concludes. It has been almost one year since the massive uprising took place in Iran, which spread to over 140 cities in every province in the country over a two week period. Since that uprising, protests have taken place on a daily basis. Now, as the first anniversary of the uprising nears, more strikes and popular protests are taking place across Iran. On Wednesday, city bus drivers in Zanjan, northwest Iran, went on strike to protest poor living conditions and the lack of availability of spare parts. Also on Wednesday, dental school students from Bandar Abbas Science University in southern Iran gathered to protest the poor quality of education at the university and subpar recreational facilities on campus. MEK sources spotted a rally in Tehran by people who placed down payments on Iran Khodro vehicles and have yet to receive them. The customers gathered outside of the company’s administrative offices to demand the delivery of their vehicles. Meanwhile, customers who registered to buy Citroen C3 cars gathered outside of the regime’s Ministry of Industry, Mines and Trade in Tehran for the third consecutive day on Wednesday to protest the sharp increase in the price of the car after customers reserved their vehicles. Authorities said that the cost of the car rose by one billion rials, or approximately 24,000 U.S. dollars, according to the regime’s exchange rate). People in the city of Masjid Suleiman, southwest Iran, protested city officials’ failure to follow through on their promises to citizens, including putting asphalt on the city roads. Citizens shouted anti-regime slogans during their protest. 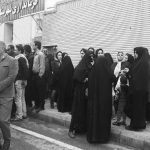 On Wednesday, employees of the Arian Foolad (Steel) Buin Zahra company, west of Tehran, gathered outside of the mayor’s office to show their support for the striking National Steel Group workers in Ahvaz, southwest Iran. On Tuesday, retirees from cities across Iran gathered in front of the regime’s Parliament in Tehran to protest poor economic conditions for retirees. Retirees live below the poverty line in Iran. The retirees also expressed their support of the Iran National Steel Industrial Group (INSIG) workers who were recently arrested and demanded the immediate release of those workers, as well as the teachers who were arrested during their recent strikes. 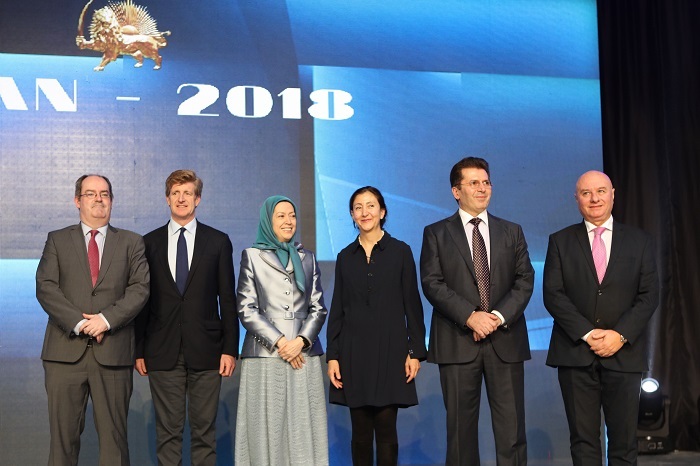 On December 15th, Mrs. Maryam Rajavi, President-elect of the National Council of Resistance of Iran (NCRI), addressed an International simultaneous conference organized by the Iranian Communities, which took place simultaneously in 42 cities across North America, Europe, and Australia. The purpose of the conference was to discuss the ongoing popular protests taking place in Iran, the need for a firm approach when dealing with the Iranian regime, and the goals of the NCRI, MEK, and Iranian Resistance in restoring democracy to Iran. 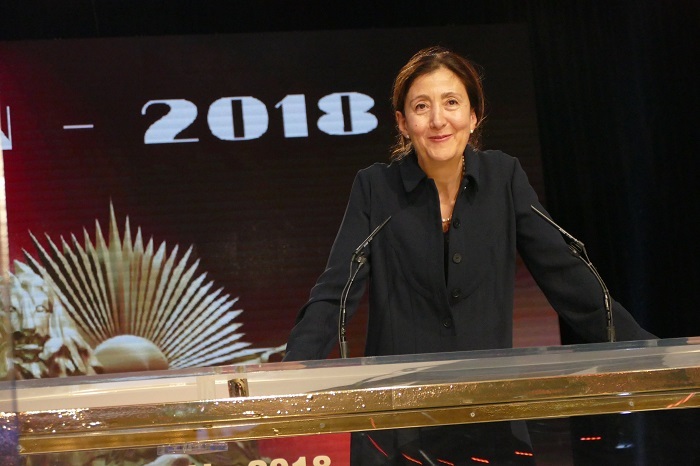 Mrs. Rajavi described the regime’s numerous attempted terrorist attacks on the MEK in Europe and detailed how each plot was foiled by European governments. “Indeed,” Mrs. Rajavi said, “Isn’t it regrettable that despite disclosure of the mullahs’ terrorism on European soil, the regime’s appeasers are still trying to find a way to deal with the regime and seeking to aid the murderers of the Iranian people? “We tell them: ‘Gentlemen, if you don’t want to stand by the people of Iran, at least do not victimize the security of your own citizens. Why do you aid a regime that poses threats to European capitals? She also questioned the regime’s missile program: “Furthermore, what are the regime’s successive missile tests about? What is their aim? Anything but blackmailing and threatening regional and global peace?” she asked. 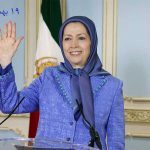 Mrs. Rajavi also saluted the protesters inside Iran, who continue to rebel against the oppressive regime. She said: “And hail to our compatriots in various provinces who continue their protests and uprisings and have kept the flames of uprisings alight. 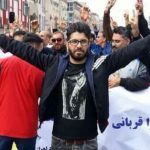 “The demonstrations of Haft Tappeh Sugarcane workers and the start of the second month of strikes and protests by the brave steel workers of Ahvaz have incited more resistance and protests all across the country. “Those who addressed the mullahs, calling them monkeys who are sitting on the Prophet’s pulpit. On Sunday, Mrs. Maryam Rajavi, President-elect of the National Council of Resistance of Iran (NCRI), met with a delegation of Members of European Parliament (MEPs) in Tirana to discuss Ashraf 3, the MEK camp in Albania. They also discussed the ongoing protests in Iran. Members of the delegation included Tunne Kelam, member of the Foreign Affairs Committee and Vice Chair of Friends of a Free Iran inter-parliamentary group, Jaromir Stetina, member of the Foreign Affairs Committee and Vice Chairman of the Subcommittee on Security and Defense, and Struan Stevenson, Coordinator of the Campaign for Iran Change. The EP delegation noted the statement from earlier this month and affirmed their support of Maryam Rajavi and the Iranian Resistance. 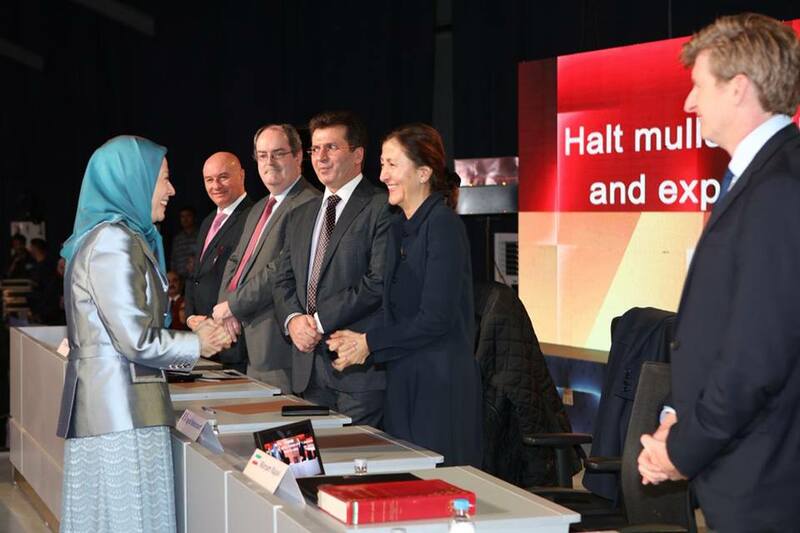 Kelam also congratulated Mrs. Rajavi on the MEK’s progress, saying, “Your movement has set a new moral, political and democratic standard, something that gives you the power to confront the medieval, fundamentalist regime ruling Iran. 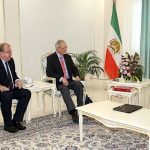 Mr. Stetina pointed out that the MEK and the NCRI enjoys broad support from MEPs from different political groups, saying that these groups “are confident that Iran’s future is tied to this Resistance and to you, personally.” He went on to say, “This is why the Iranian regime has once again resorted to terrorism. Their ill-fated terrorist attempts in Albania, France, and the U.S. clearly show that the Iranian regime views this movement as its main existential threat. 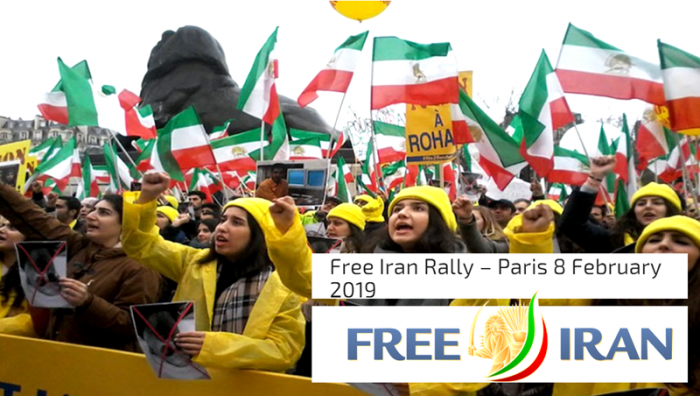 When it cannot defeat the PMOI and the NCRI by suppression and terror, it moves full force to deploy the mercenaries and “reporters” it has trained to demonize the Resistance and carry out smear campaigns. This is something that we have very well experienced in the European Parliament. Mr. Stevenson pointed out that the regime is faltering and cannot continue to rule. “The emphases by the leader, president and other officials of the regime leave no doubts on the role of the PMOI in advancing the popular uprisings. Therefore, there is nothing strange for us that their slander machine has been put to work at its highest speed. These efforts are in vain and will not deceive anyone,” he said. Haft Tapeh Sugarcane Factory Workers have been on Strike for ten days. demanding their delayed paychecks and protesting poor living conditions. Wednesday marked the tenth consecutive day of strikes for workers at the Haft Tappeh Sugarcane Company. The workers have been on strike since November 5th to protest not receiving their wages for the past four months. They are also protesting the privatization of the company. The workers’ chants also referenced the ongoing strike by Ahvaz Steel Company workers, which has been in progress since November 10th. The workers chanted, “Thank you steel workers!” in solidarity with their fellow striking workers. According to the state-run ILNA news agency, almost 1,000 workers took part in the protest. 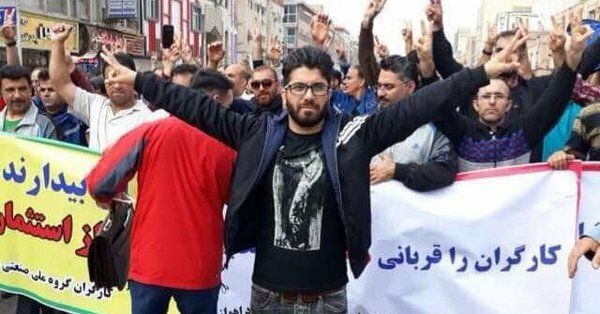 2,700 workers at the Haft Tappeh Sugarcane Company have gone without wages for four months, according to one protester who was interviewed by ILNA. “Unfortunately, the employer has no reaction to the workers’ unpaid wages and we are waiting to see whether they will take any real measures,” the protester said. The Haft Tappeh Sugarcane Factory, the oldest sugar factory in Iran, was privatized in 2015. Since then, debts at the company have risen, and workers have become progressively poorer. According to official reports, factory workers have lost 80% of their purchasing power over the past few months, and the company is considering laying off workers. “The families of some workers have to buy bread on credit, because of unpaid salaries and if this situation continues, even bakeries will refuse to sell bread to the workers on credit,” he said. Factory workers at the Haft Tappeh Sugarcane Company have gone on strike several times this year, due to unpaid wages and unfulfilled promises by their employer. The most recent strike took place in August and involved 500 striking workers who had not been paid for three months. According to reports from the MEK network, riot police beat protesters and used tear gas. Five striking workers were arrested and charged with “disrupting order.” They were later released.